Baskets Of Hanging Petunia Flowers On Balcony. Petunia Flower In Ornamental Plant. Banco De Imagens Royalty Free, Ilustrações, Imagens E Banco De Imagens.. Image 113574265. 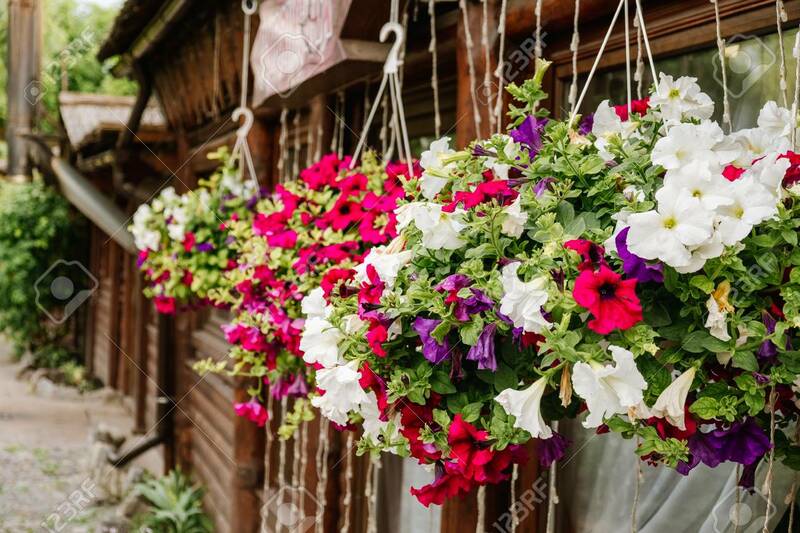 Imagens - Baskets of hanging petunia flowers on balcony. Petunia flower in ornamental plant. Baskets of hanging petunia flowers on balcony. Petunia flower in ornamental plant.